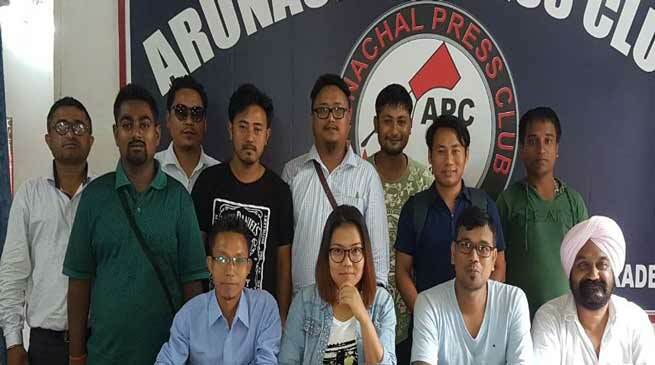 The general body meeting of Arunachal Electronic Media Association (AEMA) held here at Arunachal Press club today wherein various issues pertaining to the association were discussed. The meeting was held under the chairmanship of the AEMA President Mukul Pathak while presided by General Secretary Sapna Tayem. On the occasion various vacant post were also filled and few post of the organisation were reshuffled for the smooth functioning of the AEMA in state for the welfare of the members of the electronic media association. The meeting resolved to pursue the memorandum submitted earliest to the government of Arunachal Pradesh for immediate approval and implementation.